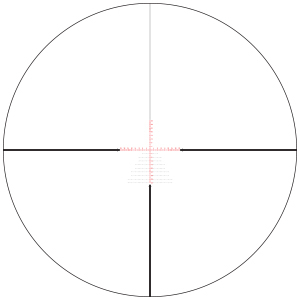 Hash-marked reticle using MOA or MRAD-based subtension lines and floating wind hold dots for ranging, holdover, and windage corrections. Letters refer to reticle subtensions listed in chart below. Read the Viper PST Gen II 5-25x50 Riflescope with EBR-2C Reticle (MOA) manual for details on how to effectively determine range, holdover, windage and moving lead corrections.